From Beta to Digital8 we have you covered. Plus we can handle all regions (not just US), all for the same flat rate. Still have 8mm reels lying about the house? No prob, we can help with those. Whether it’s an album, a shoe box, or a bin we all have some photos we’ve been hanging on to. Our commercial-grade scanners that will give you a chance to relive and share these great memories again. Audio tape recordings lose their fidelity over time. 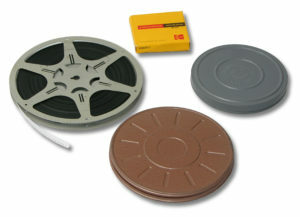 Digitize your tapes to preserve their optimal quality for years to come. Lotus Media provided an excellent service converting my obsolete but timeless Hi-8, miniDVs, and VHS tapes into modern day mp4 files. What really stood out was his promptness to completing the order. I had 23 tapes that I had to be converted. Kirk did that within three days of receiving them. AND we live in different states. AND he answers my questions, AND calls me back when he can't get to my previous calls. This sure beats having to buy a 400+ dollar hi-8 tape converter and then have it sit around the house when you don't need it anymore. I will for sure be coming back when other tapes need to be converted. These guys are the real deal - they're very responsive and do the work quickly (even more quickly than promised! ), with excellent results. They always offer to help if something didn't go as expected and even go above and beyond to help troubleshoot or fix any glitches. Everything came back as promised with no issues whatsoever! I highly recommend Lotus Media! The service was fantastic, the prices were good, and the options for conversion were great. The big selling point for me was that they would convert right to MP4 and could deliver via USB or google drive. Most conversion places I looked up went to DVD, which if you ask me is converting from an already dead medium (VHS/tapes) to one that is already dying anyways (DVD). Putting it in MP4 format was big for me, and if I want a DVD I can burn that from the MP4 (or they do offer DVD service if that's what you want).